Amazon FreeTime, the subscription service offering child-friendly books 7 Things You Didn't Know You Could Do with Your Kindle Fire 7 Things You Didn't Know You Could Do with Your Kindle Fire Your Kindle Fire has some tricks up its sleeve you haven't discovered, yet. We'll reveal 7 that don't require you to root your device. Read More , apps, games, videos, and more, is rolling out a new feature aimed directly at parents: Parent Dashboard. Parent Dashboard features other new features, such as Discussion Cards, to help parents better understand the content their children are interacting with. Parent Dashboard also features activity reports and other direct insights into their children’s device usage. The dashboard offers a breakdown of time spent on reading, gaming, and videos, as well as the time spent on specific titles. The most interesting feature of the new Parental Dashboard is Discussion Cards. These are effectively CliffsNotes on starting conversations with your own children based upon their activities. Each card contains a short summary of the book, video, or app, as well as some questions parents can use to generate conversation outside the confines of a tablet. The summaries and questions are pulled from a variety of sources: app developers, movie studios, teacher’s guides, publishers notes, and CommonSense Media. Amazon also provide a direct link to the app or book review page How to Know If You Can Trust an Amazon Product's Reviews How to Know If You Can Trust an Amazon Product's Reviews Amazon product reviews are hit or miss. Sometimes they're helpful, sometimes they're fake. Here's a tool you can use to check the integrity of a given product's reviews. Read More . Don’t fret though. Amazon’s curation team actively moderate all FreeTime content, meaning the platform, along with the Discussion Cards, is clean and safe. The Discussion Cards will appear for the most popular items first. And yes, there will be one for Minecraft, great if you’re struggling to discuss the massively popular cube-world with a nine-year-old. I can already see the eye-rolling and smirks when you try to explain how to take down the Ender Dragon (that’s a boss, FYI…). There are already thousands of cards, and more are set to be added. The Amazon FreeTime content moderation is excellent. 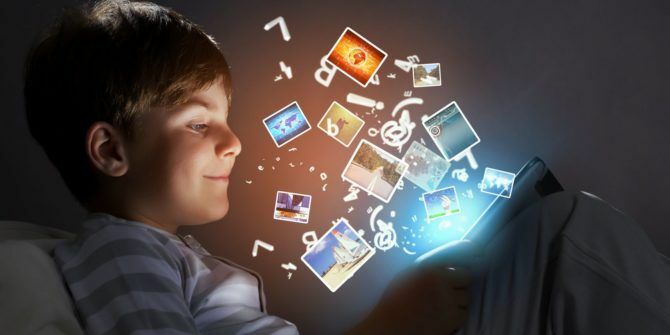 Their active approach to adding and removing content means your children have a safe-space to explore their digital identity, as well as the knowledge there is more fun stuff to come. Parents have it good, too. The addition of the Parent Dashboard gives insight into the digital habits of your child, while giving a little bit of a helping-hand in keeping real-world, open discussion flowing. Do you use Amazon FreeTime? Would you suggest it to other parents? What are its best points? Does Amazon FreeTime lack anything? Let us know your thoughts below! Explore more about: Amazon, Parental Control. We have used Kindle Free time for 3+ years with our four children. We appreciate the parental controls; however, we often disagree with the books/apps/video content that the Amazon team deems age appropriate. We wish there was a way to block certain FreeTime content. I hadn't noticed that update! Thank you!!! That's the best news yet for Kindle Free Time.